The representative of the UN High Commissioner for Human Rights in Colombia, Todd Howland, has warned that about 40 indigenous groups are at risk of disappearing as a consequence of increased mining activity in the country. According to Howland, who was interviewed by Caracol Radio (in Spanish), the problem is that native communities affected mining projects are moving to the city, where their culture and language is lost. The UN representative called both companies and the government to conduct consultations in the communities before exploiting natural resources in their territories. "It is important for all Colombians take this problem seriously,” he was quoted as saying. 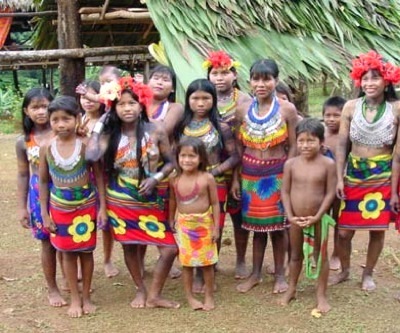 A recent report from the Center for Autonomy and Rights of the Indigenous Peoples of Colombia noted said there were 34 indigenous groups are at risk of extinction in Colombia, but the UN considers the number to be higher. Based on data from Colombia’s National Indigenous Organization, 62.7% of the country’s indigenous population were at risk of extinction as per March last year.